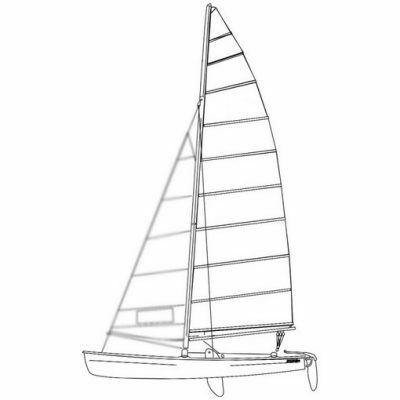 Patterned after the factory Hobie 18 jib sail, spec-ed by Murrays. The panels and patches are assembled with a special two sided adhesive tape before they are machine stitched. The sail is then “finished” by adding any boards, rings, hanks etc. The last step is quality control, the QC specialists use a check sheet as they go over each sail for flaws or errors and make sure the original specifications have been met. Each sail includes a viewing and two tell-tale windows. The base price is for a solid color 6.0-oz jib sail, multicolored sails are also available for an additional charge. Available colors include Dark Blue, Medium Blue, Flo Orange, Red, Brown, Yellow, Flo Yellow, Torquise Green, Black, Grey and White. White sails are often in stock. 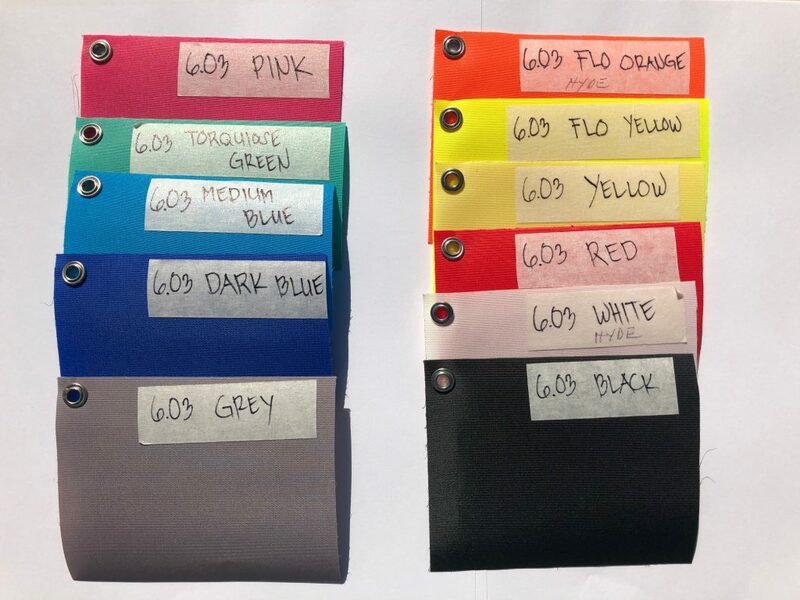 Colored sails are custom order. 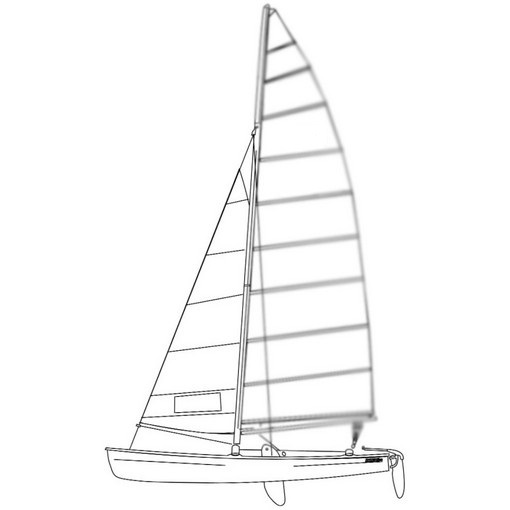 Custom sails will likely take several weeks to produce. Not made by Hobie, therefore not legal for Hobie Class racing. 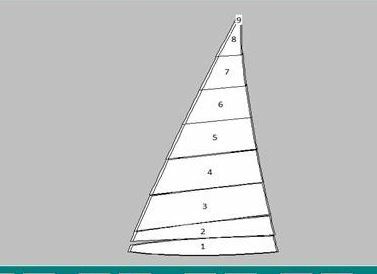 Sails are typically made to order and shipped separately from other parts. The video below is a Hobie 16 sail, but it’s representative of the construction of the Hobie 18 sail.